CPC- COLOR PLASTIC CHEMIE ALBERT SCHLEBERGER GMBH, Coloranti si pigmenti industriali nealimentari, Liquid dyes, Dye pastes, pe EUROPAGES. 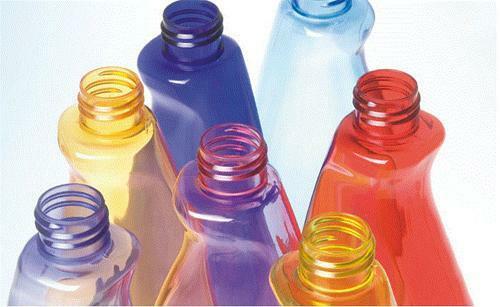 Color Plastic Chemie Albert Schleberger GmbH has specialised in the development and manufacture of masterbatches and additives since 1968. We use a wide variety of plastic carriers (PS, ABS, SAN, PET, PE, PP, PC, TPU, and many more) to create colour solutions to provide our customers with the optimal solutions. We also offer on-site colour adjustment (Colour Mobile Service), which ensures that we can provide a smooth product adjustment. Our masterbatch product range also includes compounds, pigments, liquid dyes and special batches (effect pigments, Multify concentrates and combination batches). The varied range of additives includes: Anti-fog agents, UV protection, flame retardants, antistatic agents, antiblock agents, etc. Our solutions are successfully used in applications for the construction, automotive, electrical, cosmetics and food industry, as well as for medical technology and the general packaging industry.